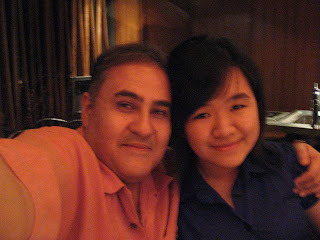 To our dearest niece Amelia who will be going to Australia to further her studies on Feb 2nd. Carlos and I wishes you all the best and good luck in your studies. We love you and hope to see you in Australia or Malaysia soon. 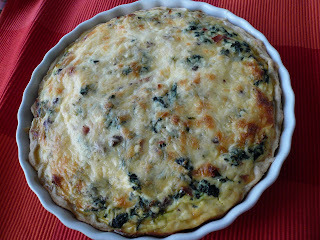 Quiche is very popular in Europe especially in Northeastern of France. It consists of pastry shell filled with savory custard of eggs, cream, cheese and many other ingredients like onions, mushrooms and meat. The most popular quiche is Quiche Lorraine which has crispy bacon in it. Quiche can be served for brunch, lunch, dinner or even hors d'oeuvre. Is there anything better than homemade quiche? 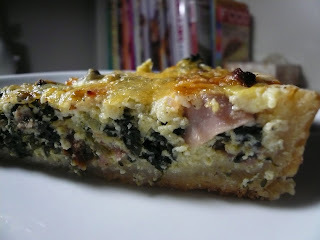 Carlos and I will usually eat it with salad for dinner and one of our favorite is Spinach Quiche. Heat oil in a pan and cook onion, garlic and ham for 5 minutes. Add in chopped spinach, salt and pepper. Cook for another 5 minutes and set aside to cool. Beat eggs, cream and milk together in a mixing bowl. Add in ricotta cheese. Stir well. Season with salt and pepper. 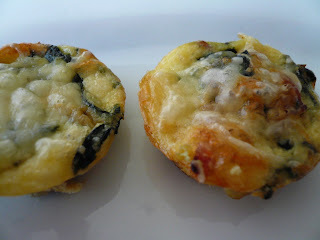 Spread cool onions and spinach mixture evenly over the base of the pastry shell. 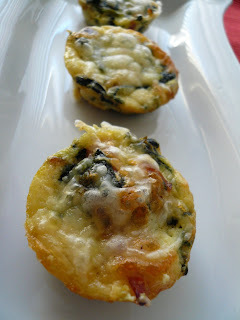 Pour egg mixture over the onions and spinach and sprinkle with grated swiss cheese. Bake for another 30 minutes or until the filling has set and the top is golden brown. 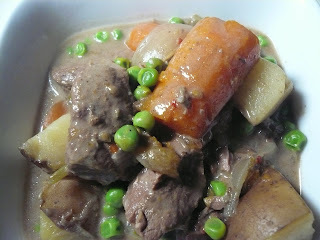 In this icy cold winter there is nothing more comforting than a hot bowl of beef stew. 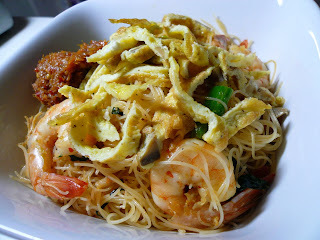 Is easy, healthy and hearty. I like making my stew in my crock pot. Just put everything in the crock pot and walk away and you have a meal in a few hours. Cut all vegetables and meat in chunks. 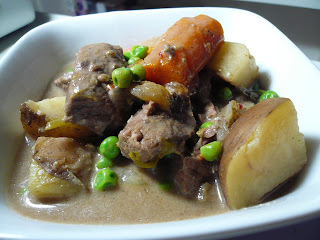 Place all ingredients in the crock pot except for the green peas and mix well. Set your crock pot to high if you want your meal in 4-5 hours and low if you want your meal in 6-7 hours. Put in green peas half and hour before serving. When is done remove the bay leaves and serve with crusty bread. I like making my own sambal. This is a versatile sambal and I used it for my mee hoon goreng, nasi goreng, sambal okra , sambal prawns or just eat it with my nasi lemak. 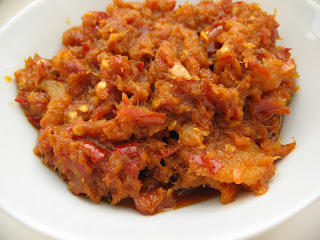 1) Blend all the ingredients with some oil except for tamarind juice, shrimp paste, salt and sugar. 2) Heat oil in a wok and pour in the blended ingredients. 3) Once the ingredients starts to bubble lower the flame to medium and simmer for 45 mintues. 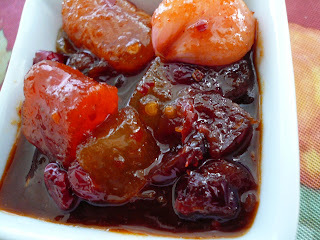 4) Add in sugar, shrimp paste, salt and tamarind juice. 5) Continue to stir to prevent the mixture from sticking to the bottom of the pan. 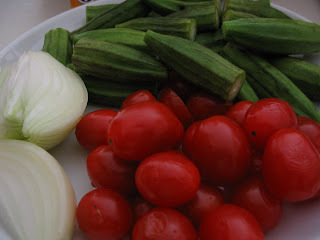 6) Simmer until the sambal is reddish-brown in colour and oil separated from the mixture. 7) Cool and store for future use. 'Asam Fish' is usually cooked with lady fingers, brinjal, tomatoes, chilies, tamarind juice and lots of spices but here in US it is difficult to find all the fresh ingredients for the asam paste. It is lucky for us now as we are able to buy all these ready made paste online from http://www.mytasteofasia.com/. 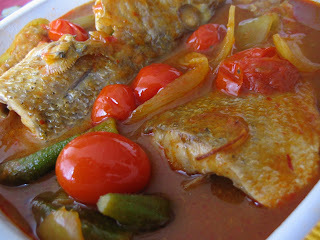 I used the ChanHong Rempah Asam Kari and I like the tangy and spicy taste of the gravy. Do give it try and you won't be disappointed. 1) Heat up pan and a tablespoon of oil, add in onions and stir fry for 1 min. 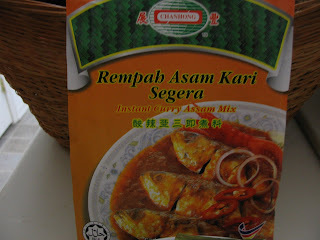 2) Add in the Asam paste and cook for 2 min. 3) Add in water and bring to boil. 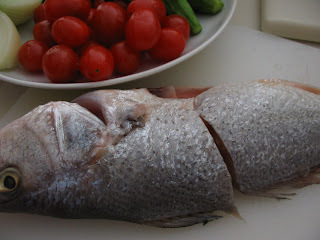 Then add in the veggies and lastly the fish or seafood. 4) Cook for 10 minutes and season with sugar and salt to taste. I love eating Nyonya Kuih like Kuih Talam, Kuih Lapis, Seri Muka but it hard to come by especially here in PA, USA. I am able to buy it in NY but it just doesn't taste like the one from back home. One of my all time favourite is Kuih Lapis. I like eating it layer by layer. Diana and I made this yesterday and 'voila' it turn out pretty good. Our next kuih project will be Kuih Talam. Diana and I went to Chinatown on Saturday and we saw a stall selling frozen durians from Thailand and we decided to get one. This was the first time I bought a durian in US. Been craving for it since I came back from Malaysia. When I went home in October the season was over and we searched high and low for it. My sister Elizabeth and I found a stall in Jalan Alor selling some kind of designers durians . She paid RM60.00 for one which I thought it was crazy but my sister insists of buying it since I have yet to taste any durian since I came home. 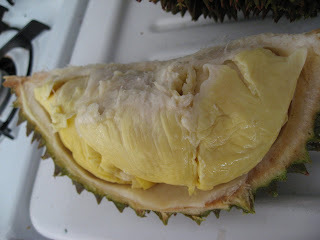 I ate to whole durian all by myself ;-) mmmm so good!!! 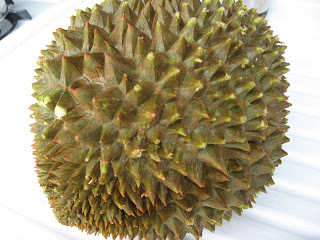 This was the frozen durian we bought from Chinatown. Of course is not as good at the one in Malaysia but it was good enough to satisfied our cravings. Is just like eating frozen durian ice-cream. Best wishes to my dear family and friends for a wonderful year ahead. Year 2006 passed by in the breeze for us especially having Diana's here with us. 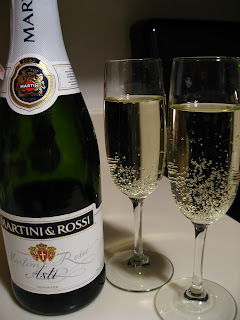 We decided not to cook anything elaborate for the New Year. 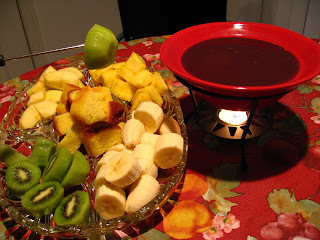 We just had Chocolate Fondue with fruits and some wine. 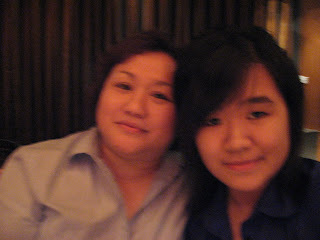 Now I am looking forward to Chinese New Year as my sister Elizabeth will be here with us.